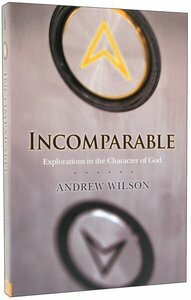 Andrew Wilson holds degrees in theology from Cambridge (MA) and London (MTh). He has taught a number of courses and seminars on apologetics, and has debated Christian issues with several leading scientists. His conference and teaching ministry is interantional in scope. His other books are: Deluded by Dawkins?, Incomparable and GodStories. He lives in Eastbourne with his wife Rachel and their two children, Zeke and Anna.